In today’s multiplatform world, a broadcaster’s responsibility in covering the game goes well beyond the live linear telecast. Nowhere is this more apparent than for regional sports networks, which must cater to die-hard fans constantly clamoring for more information and content about their favorite teams. 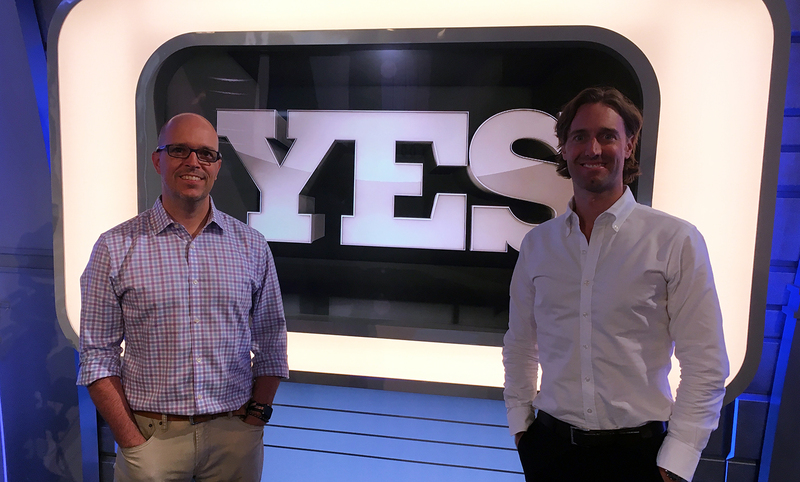 YES Network and its Fox Sports Networks compatriots have taken on this challenge head-on, cultivating a digital/social-programming philosophy that hinges on the digital team being intimately embedded with the linear-production team. In the case of YES, this has created higher visibility across the organization, resulting not only in high-quality digital programming but also in sizable increases in its digital and social metrics. Through August, YES averaged 9.1 million video views per month (across Facebook, Twitter, YouTube, Instagram, and web) for the 2017 calendar year — up 193% year over year — and logged 11.7 million views for the four months of the Yankees season. In addition, YES now has more than 750,000 total followers on social media (Facebook, Twitter, YouTube, and Instagram). Meanwhile, Fox RSNs as a whole have grown their digital-video consumption more than 800% in the past two years, largely by embracing the principals YES helped to pioneer over the past decade. Although YES has seen its output and metrics skyrocket in recent years, its commitment to digital is nothing new. A decade ago, YES was among the first RSNs to make digital a priority, demanding that its linear-production team think with a digital mindset when creating content for studio shows. YES has been an active programmer and revenue partner on YouTube and an active Facebook user since 2007. In addition, the network launched the first in-market live-game-streaming product in MLB history in 2009 (as well as the first authenticated TV Everywhere product in professional sports). That commitment to digital was made possible largely by the buy-in from the linear-production team. YES Network Coordinating Producer Jared Boshnack has embraced the role of digital within his linear-production team’s operation. “During the 2009 World Series, when the Yankees beat the Phillies in six games, we were producing nightly shows and saw some added value from Twitter at a time in which it was exploding,” recounts Boshnack. “All the stats and insights were flowing in, and we suddenly had all this raw information, which, essentially, added to the storyline. I saw the value in it right then and there. One of the most significant outlets for that original content exploded on the scene last year with the launch of Facebook Live. Since then, the social-video outlet has become essential to YES’s ability to drive tune-in to live games and generate new monetization opportunities. 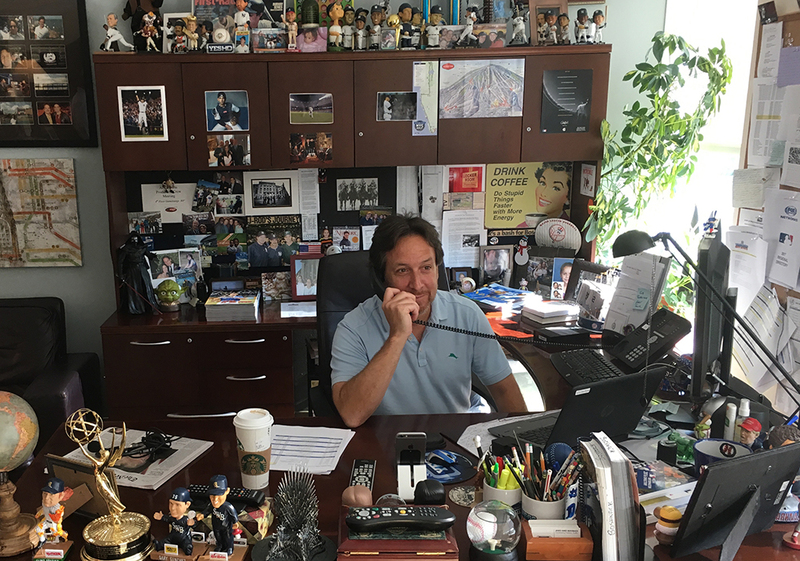 Chief among these Facebook Live efforts has been YES’s Yankees Production Meeting live show, which features producers, talent, and the digital team meeting before each Yankees series to discuss storylines and plans for the upcoming matchups. The show is a two-camera shoot, and the digital team uses Telestream’s WireCast solution to cut the show and generate on-screen graphics. It’s no coincidence that YES’s increases in fan engagement have correlated with this increased digital-video output in recent years. YES is on pace to produce a whopping 5,000 digital videos by the end of the year and has already produced 145 Facebook Live videos (as of August), with its fellow Fox RSNs combining for several hundred more. In addition to its live-streaming efforts, YES Network also delivers plenty of original VOD content on a daily basis. Much of this effort is spearheaded by Web Video Producer Matt Stucko, who produces and hosts a variety of off-the-wall segments, such as Yes or No and Cool Down, with Yankees players and other athletes. Stucko, who knows many of the current young stars from having covered them in the minors, aims to create a fun, laid-back format that allows their personalities to come out. 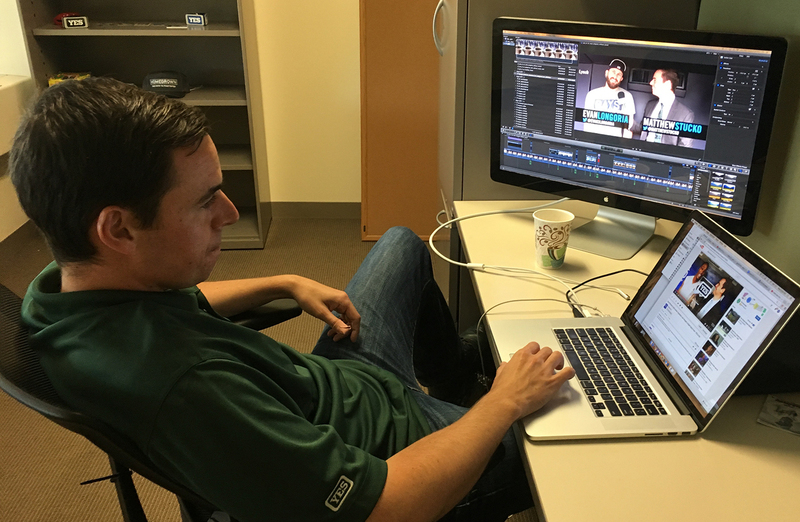 Web Content Producer Matt Stucko creates digital content that aims to bring out players’ personalities and go beyond the game. YES’s efforts to create fun, fan-focused content go well beyond just video, however. Over the past three months, YES Network has launched the Movie Poster Monday initiative, which aims to blur the line between sports and pop culture by capitalizing on key Yankees personalities. Examples include Exit Velo starring Aaron Judge, Red Thunder starring Clint Frazier, The Kraken starring Gary Sanchez, and The Emoji Tweeter starring DD Gregorious. In addition, YES has rolled out a series of Animated Digital Bobblehead Dolls depicting various Yankees, including Judge and Luis Severino.